Oh! Babies! I just ran across these pictures! Last year I heard a lot of chirping coming from our little front yard that I never go into. So I went to see what all the commotion was about. BABIES! There was about six babies looking as if they were just getting bold enough to venture about. I watched them for a long time. Then I went and got my phone/camera. When I came back they noticed me and most of them teetered off. They were so cute! I managed to get two of them. 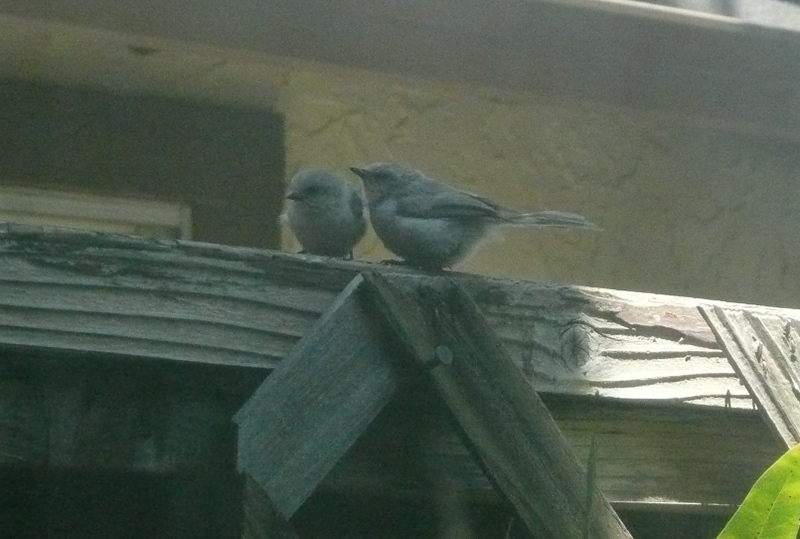 Baby birds is today’s Friday Photo.